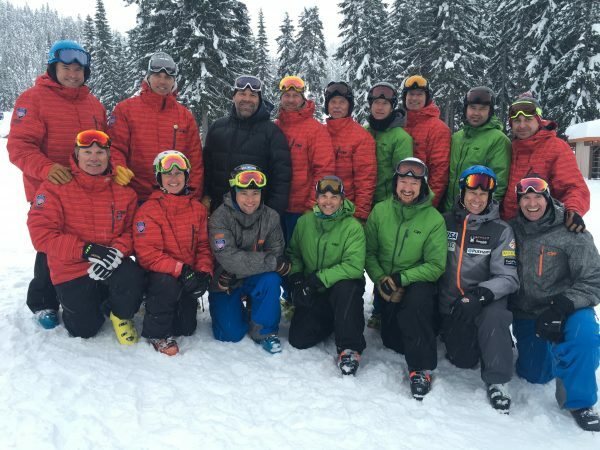 Members of the the Technical Team are part of the PSIA-NW Divisional Staff. As well, members of the team are considered as being some of the top snowsports professionals in the Northwest. Ski Industry: Mt. Hood Meadows Ski Resort Instructor / Trainer, On-hill Pro Rep for Salomon Sports. Non-Ski Industry: Founder and CEO 509 INC and Barnes Design INC, INC. – In a nutshell … I make things look good. Projects include private homes, printed catalogs, company logos, web sites, mt. bike guidebooks, some product design … and, yes, this web site. Mountainbiking, Photography, Travel, Building Stuff, Importing Original Minis as well as playing with and teaching my daughter Ottilie. Brad Jacobson is a Technical Team Member, Alpine Examiner in Training and is also AASI Level I certified and a USSA level 400 (National Level) Coach. He is also a Trainer for Mt. Bachelor. Brad grew up ski racing from age 8 through college, competed USSA and was nationally ranked. Currently he teaches full time with Mt. Bachelor Ski School and Snowboard School. Hangin’ with my amazing family out on the lake doin’ sick maneuvers on my wakeboard. I’d like to teach the world to sing in perfect harmony! Then everyone will be happy! Jobs With-in Ski Industry: Frontline Instructor/Trainer Mt Hood Meadows Ski Resort, Mt. Hood, Oregon. Jobs Outside Ski Industry: Founder of Kid Institute of Technology and small time hay farmer. My superpower would be to control the weather. It wouldn’t rain on my freshly cut hay, it would be the perfect temperature for riding bikes, the wind would blow a clean 3.7 and the temp would be 82 for windsurfing, it would snow 18-24” overnight at 17 degrees with no wind and blue sky for skiing/riding. Techncal Team Head Coach, Team member since 1986, oh my goodness! Examiner, past National Alpine Team Selector, past Education VP, past National Education Committee Member, Level III Alpine. Ski Instructor/Trainer for Crystal Mountain and Ski Masters and part time at Aspen, President and CEO of Point Lavinia Commercial Charters, Inc. (that means I haul fish), Owner, operator of Black Boat Productions. Just got back into flying (airplanes that is)after a long hiatus, way too long. To be able to predict the lottery #s. Need I say more? Competitive cycling, road and track. Former Category 1, now lazy and out of shape. Trying to improve my lame guitar skills. To be able to invisibly hang up peoples cell phone for them. I think the reason is obvious. To harness powder for the people! Powder, powder, and more powder. AND, yes I want two, when the ski season is over to be able to make the snow melt overnight so we can go right into Mtn Biking season. Technical Team Mentor and PSIA-NW Certification VP, Former Technical Team Head Coach and Team Founder. Bicycling, Fishing, Hunting, Hiking, Backpacking and more! Instructor/Trainer 49 Degrees North Resort 1981-2000, Race Coach at Schweitzer 2000-2007, Trainer 49 Degrees North Resort 2008-2009. Currently at Meulink Engineering and traveling around the NW skiing with PSIA-NW Members! Brian Alley, Stan Aunan, Corrine Bison, Jim Bison, Steve Bratt, Dee Byrne, Walt Chauner, Mike Corcoran, Jeff Cordell, Linda Cowan, Matt Dresher, Randy Green, Chris Kastner, Karin Harjo, Gavin Kerr-Hunter, Ron Kipp, Dave Lucas, Dave Lyon, Mary Macpherson, Randy Malikowski, Dave Mann, Scott Mathers, Peter May, Dave McBarron, Nick McDonald*, Lane McLaughlin, Larry Murdoch, Ron (RJ) Nichoalds, Mike Norton, Marty O’Connor, Steve Olwin, Kent Palmer, Jack Patton, Bob Peck, Jason Petek, Kim Petram, Sarah Richardson, Rick Roberts, Phil Rotherham, Dave Russell, Chris Saario, Rick Saul, David Sword, Roger Taggart, Gerald Wallace, Bruce Ware, Nelson Wingard, Kelly Yackley, Calvin Yamamoto*, Amy Zahm.